Every tutoring business needs a website these days, and My School Books makes it easy to get one. Choose a template, paste in your text and drag ‘n drop your pages however you want – My School Books will do the rest! Sites built using My School Books are automatically mobile friendly, so they look great on a PC, tablet or phone! You can also upload files – lesson materials, pictures, slide shows and movies. 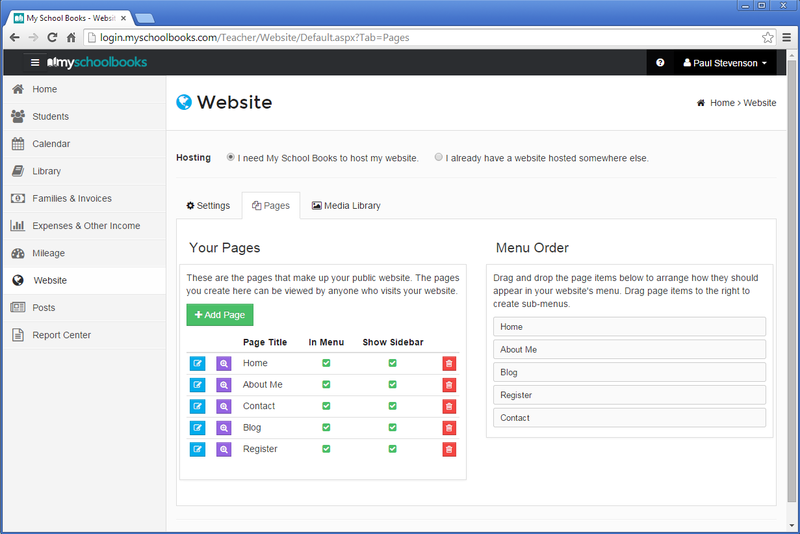 My School Books is the easiest way to create a great looking website for your business without having to be a tech wiz! Creating image galleries in My School Books is a snap. 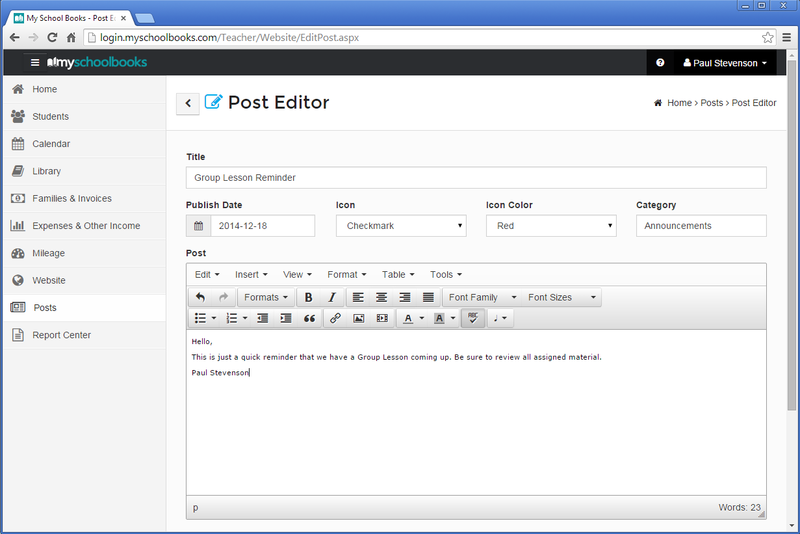 Just upload your images to the media library, then create a gallery page. There’s no limit to the number of images you include, or how many galleries you create. My School Books also lets you create customized forms on your site. You can create new student sign-up forms, contact forms, student surveys and more. There’s no limit to what you can do! My School Books also features a fully functional parent/student portal. Providing login access to your students is a great way to share information with your student families, save time, and add value to your services as a tutor. Students can also join and cancel lessons based on your studio cancellation policy. Using the student portal is completely optional, but highly recommended. It’s one of My School Books most popular features. Using the website that comes with your My School Books membership is completely optional. If you already have your own website hosted somewhere else, you can keep using it and still take advantage of all the other features and benefits that My School Books has to offer. 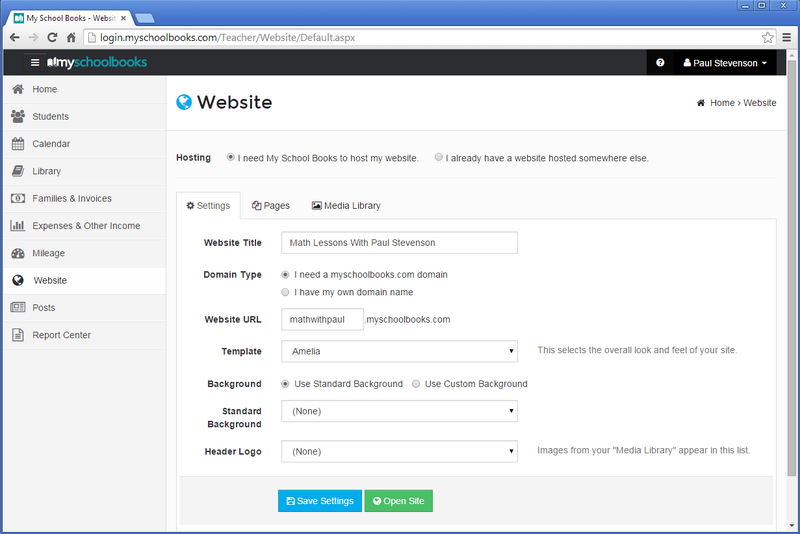 You can also use the student portal by adding the My School Books login widget to your existing site.